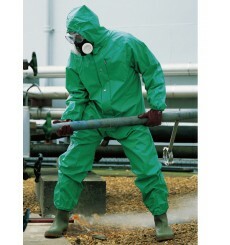 Type 4 suit designed to be used for maintenance, industrial cleaning and handling. Type PB (partial Body) hood designed to be used for maintenance, industrial cleaning and handling. Type PB (partial Body) apron designed to be used for maintenance, industrial cleaning and handling.